In a few weeks, I’ll mark the 50th anniversary of when I first got serious about swimming—i.e. training with an explicit goal of swimming fast. In November of 1965, I joined the newly-launched swim team at my high school, St. Mary’s in Manhasset NY. However, while I’ll celebrate my 65th birthday in just a few months, I’m still highly motivated to swim as fast as my physical capabilities, and limited training time, allow. Thus it’s thrilling to have mastered a form of training that offers a mathematically precise—you could even say?guaranteed—way of improving my speed.? The accompanying video illustrates how it works.? The first clip shows me swimming a continuous 100 yards. The onscreen graphics display the key elements in the Math of Speed, based on the formula Velocity = Stroke Length x Stroke Rate. However I’m far less interested in sprinting a short distance?, than in sustaining a brisk pace for a mile or more. That requires easy—and smart—speed. Stroke Count: I planned to?take 13 strokes on the first length, 14 strokes on the middle?two lengths, and 15 on the fourth length. (My Green Zone in a 25-yard pool is 13 to 16 SPL.) I missed my target count by one stroke on the third length, taking 15 strokes. 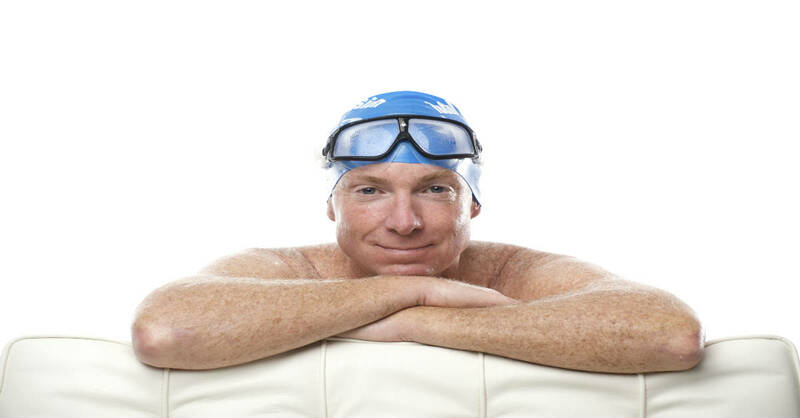 Stroke Pressure: I planned to apply featherlight pressure (one TI Coach called this ‘gathering moonbeams’)?on the first length,?slightly firmer pressure on the middle lengths; and super-firm pressure on the final length. I expected that increasing stroke count and stroke pressure would produce faster paces. And as I increased?tempo, pressure, and speed, I focused on keeping my stroke quiet and splash-free—as I always do when increasing pace. My 1500-meter pool pace (calculated by multiplying 25-yard split times by 66) improved from 23:52 on the first length to 22:12 on the final length. Besides the technique?skills of balance, stability, streamline, etc., this swim also displays a high level of pacing skill, which is critical to racing success at any distance from 100 meters up—and to maximizing your personal speed potential. Few swimmers can maintain or increase pace on each successive 25 of a continuous 100, as I did here. Fewer still can increase pace by 6.5% from start to finish. And here’s another thing to consider while watching this video. Drag increases exponentially as speed increases. Swimming?6.5% faster?should increase drag by?47%. Does I look?as if I’m working 47% harder on the 4th length? 1. To keep one’s stroke efficient, relaxed, and highly integrated as?tempo and speed increase. 2. The ability to precisely control and adjust stroke length, tempo, and pressure. To develop these skills you must design most training sets as?challenging tasks or problem-solving exercises like?the one illustrated in the next two video clips, shot in a 25-meter pool. Those shown are the first and last in a series of 7 x 25. I started at a tempo of 1.10 seconds/stroke, and increased tempo by .04 on each successive 25 (1.06, 1.02, 0.98, 0.94, 0.90.) My goal was to test whether I could maintain a consistent stroke count—i.e. travel as far on each stroke—on each 25, to a cumulative tempo increase of two-tenths of a second. ?At a tempo of 1.1 seconds, 17 SPL converts mathematically to a 25-meter pace of 22.4 sec 0r 22:24 for 1500m. At a?tempo of .9, 17?SPL converts mathematically to a 25-meter pace of 18.8 sec or 18:00 for 1500 meters. That’s what I mean by ‘guaranteed’ speed. When I first began using a Tempo Trainer, I adjusted in smaller increments—as little as .01 second—and was pleased if I could hold one stroke count while increasing by .06 of a second. Years of practice have significantly improved my ability to hold Stroke Length, while increasing Stroke Rate. As I noted in the post บาคาร่า สูตรSwim like Katie Ledecky, 40 years of data collected by USA Swimming has revealed that this is the closest thing to an algorithm for swimming success. 1. Learn to swim consistently in your Green Zone range of stroke counts. 2. 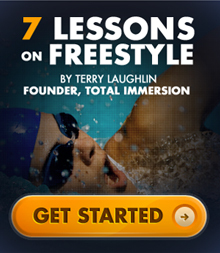 Patiently learn to swim each of those stroke counts at incrementally faster tempos. To test your own level of Smart Speed Skills, download the Green Zone chart and order a Tempo Trainer. The more of your blogs I read, the more questions I get. Seems to me you are stroking faster to swim faster? Well, that depends. Your total time is around 1.25 sec for a 100 yards freestyle. The main question is how fare this is from your personal best (at the moment). This is more like a negative split swim, which many swimmers would be able to do. Thank you for reading and commenting. It’s true that a good many other swimmers are able to negative split (swim 2nd half of a distance faster than the 1st half); virtually every world record for distances over 400 meters was set with a negative split. Are ‘many swimmers’ able to do so? It depends on how you define ‘many.’ During my 20 years as a competitive swim coach, I coached several hundred swimmers. I wanted all my middle to longer distance swimmers to be able to negative split. The first time they attempted, most were unsuccessful. It took a lot of feedback and guidance for them to be able to do it consistently. However the negative split I swam in that continuous 100y swim was incidental. The truly rare–and highly valuable–skill I demonstrated was the ability to increase Stroke Rate/Tempo by .1 sec on the final 25 . . . while maintaining the same stroke count. First of all I thank you for your great work on the web and online resources which enable me to swim the TI way. I started swimming just 45 days ago 1st of Oct 2015, I am fortunate enough to get the TI intro right from the beginning of my swimming passion in Oct 2015, now after 45 days I can swim 1200 meters with 2 minutes break after each 200, that’s great feeling, working on your daily improvement philosophy I am hopeful to do a mile without rest, once again thank you and its form the core of my heart. I would love to be trained by you, however I reside in Saudi Arabia would like to invite you here to open TI chapter in Saudi. you are doing a great job, congratulation. I extend warm thanks for your enthusiasm for TI, for following my blog and commenting.Perhaps you could become our first coach in Saudi? At the beginning of 2016, we will launch a new program called TI Ambassador for people like you who are the pioneers of TI in some place–whether that place is a country like Saudi Arabia and others . . . or simply the pool where they swim. Thanks for the prompt reply. It really energizes me. Being a TI Ambassador in Saudi Arabia is an honor for me. From a totally novice to a suggested coach within short period of time, this is possible only through TI way, TI is so methodical, logical and natural as if water flowing from mountains to the lakes and rivers and dropping into the ocean, this is what I need to tell people around me. You being a very busy person replied to a novice within no time this shows people matters a lot to TI and you cares about us. When a look back 45 days ago, I was not able to float properly, now I can swim more than a kilometer without being tired rather I feel energetic and happy, in contrast my fellow swimmers who may be swimming for quite a long unable to complete fewer than 5 laps. once again thank you for changing my life. Yours reads like a story that deserves a bigger platform and audience than is possible here in the Comments section. It would inspire many others while also showing what a worldwide community there is for improvement-minded TI swimmers. I’d love to publish a guest post by you. How can I submit the post, kindly guide me. Great! I’ll email you guidelines. I am so jealous right now with all your swimming skills. I never can swim in pools with depth above 6-feet. I just try to splash water back with my legs and don’t actually “swim” ahead in the waters. I guess I should have learnt it in my childhood since I hardly get time to hit the beach owing to this IT life of mine.